Ralph Xavier Degala is an accountant by day and chef all the time. Currently based in Los Angeles, Ralph has also called Houston, TX and Saudi Arabia home, providing him wide array of cuisine and a sophisticated palette. 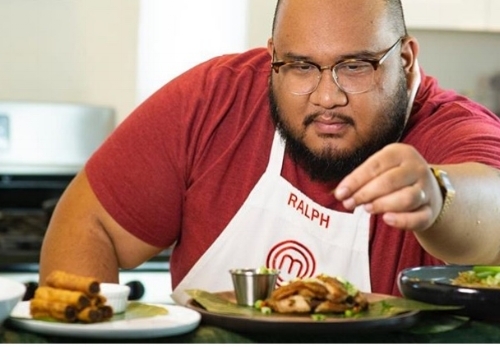 His interest in food at a young age, care for the staple ingredients (garlic, black pepper, fish sauce, soy sauce, cane vinegar) and making dishes from scratch, and experience on tv show MasterChef have molded him into a chef who makes Trillipino food, true to himself and keeping it real. Look to Ralph to create more and for a chicken shawarma stand! I grew up cooking for my siblings and just helping my dad around the kitchen. And was it difficult taking the steps to working in the food industry? MasterChef was my first real jump to try to get into the industry. YouTube/Instagram are the platforms that I've targeted, my goal of sharing recipes and teaching this generation of classical Filipino dishes is something I want to be part of. Filipinos are great in assimilating into different cultures and our food is something that we continue to carry over and I hope we don't lose it! There will be generations of Filipino-X (America/Australian/European, etc.) that will probably never visit the Philippines and know how to cook our entrees. Favorite Filipino Dishes: Kare-Kare, Tortang Talong, Tapislog. Favorite combo to get at a turo-turo/karenderia: Bistek/Munggo/Kaldereta with rice! Garlic, Black Pepper, Fish Sauce, Soy Sauce, & Cane Vinegar these are our staples to making the base of a lot of dishes. I've definitely leaned towards more to recreating dishes from scratch and not using Mama Sita Packets. Also plating and just really simplifying dishes and highlighting ingredients is something I've done more over the years! My parents are for sure my biggest motivation. Growing up, I looked up to Emeril Lagasse and Anthony Bourdain. How has your time on Master Chef influenced your life? 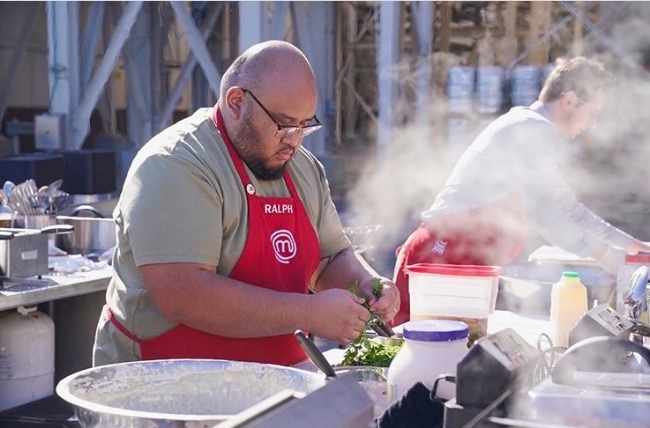 My time on MasterChef has been such a blessing to connect with other Filipinos all over the world. To be able to share Pancit and Adobo to the world is something I only dreamt of. I think knowing who I was and just being true to myself was amazing. What have been some of your favorite experiences and opportunities as a chef? I still don't consider myself as a Chef, more of a home cook aspiring to be a Chef. There are so many great chefs out there who work day in and day out and never get the publicity as I got from being on MasterChef. I definitely take that as a blessing and getting to learn from other Chefs here in LA, Houston, and the world is just icing on the cake. My favorite experiences and opportunities post-MasterChef is just being recognized in person and the love from EVERYONE. It definitely feels great to just be loved for who you are. There's a saying that "I would rather be hated for who I am rather than be loved for someone who I am not". What is it like being part of the Fil Am chef community? It's too dope! Getting to know other small business owners and Fil Am chefs is empowering. I know the work that puts into their craft. Not only money, but sacrifices whether its relationships or time. Just being able to talk about food techniques, dishes and also the future is a true blessing. Do you have any projects, pop ups, events that you are looking forward to? Just looking forward to creating more on YouTube and Instagram! A project that I am working on the side is a Chicken Shawarma stand. Growing up in Saudi Arabia, Chicken Shawarma is a dish that always reminds me of that time and also the sacrifice that my parents had working overseas for us.